Stress is a normal part of everyday life. In fact, it can be beneficial when experienced in tolerable levels because it builds character and establishes or reinforces work ethic. Even more so than eye strain and anxiety, too much stress can have a negative impact on a person’s overall well-being. 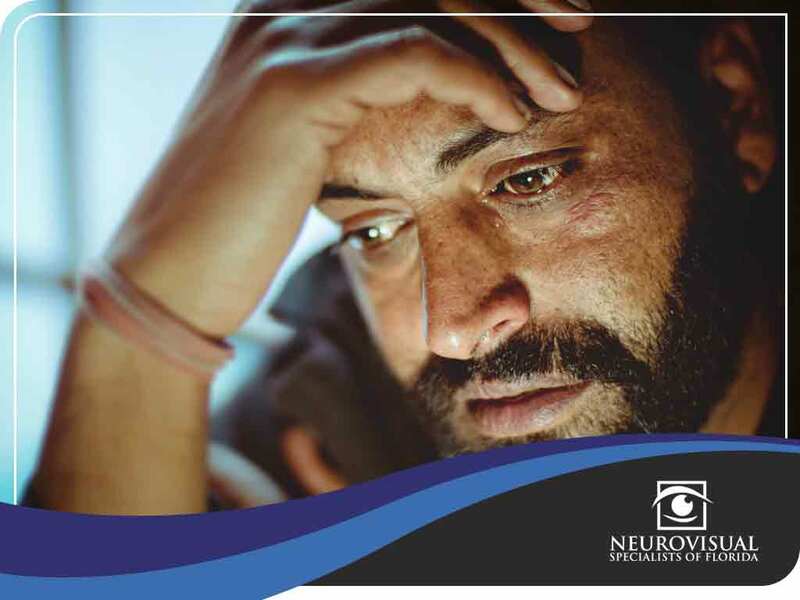 Today’s post from NeuroVisual Specialists of Florida and iSee VisionCare explores the adverse effects of stress on one’s visual health. It’s common knowledge that vision loss often results in anxiety and even depression. However, a new analysis of clinical studies and existing research suggests that the reverse can also be possible. While it seems like a severe consequence, high levels of stress can lead to vision loss. When you’re under constant pressure and stress, your body produces an increased level of a hormone called cortisol, which can have detrimental effects on your vascular and sympathetic nervous systems. The raised levels of cortisol affect your brain and eyes, and can lead to glaucoma, optic neuropathy, and ultimately, complete vision loss. Glaucoma can manifest in symptoms like double vision and eye pain. Consult your eye doctor immediately upon experiencing any of these symptoms. A constant stream of visually demanding tasks in high-pressure environments can take its toll on your eyes, and prolonged periods of stress can make you sensitive to light. When you’re stressed, all the muscles in your body become tense, including your eyes. Your eyes can also dilate as part of your body’s fight-or-flight response. While the main cause of migraines remains largely unknown, stress has long been implicated as one of the leading triggers of this neurovascular disorder. Migraines are also associated with headaches and dizziness that may or may not accompany the migraine attack. Stress-related visual problems can be debilitating and interfere with your life. Remember to prioritize your health above all else to limit stress as much as possible. NeuroVisual Specialists of Florida and iSee VisionCare puts your visual health first. Turn to us for all your eye care needs. Call us today at (561) 733-9008 to schedule an appointment.